A guided tour of numerous software design methods, this volume collects into book form a variety of articles from P.J. 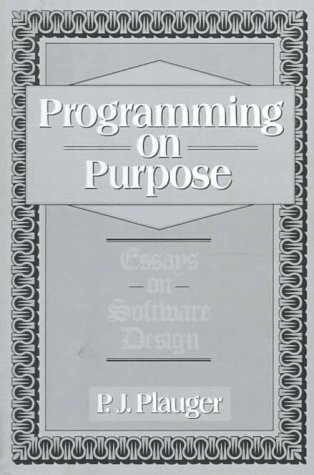 Plauger's monthly column Programming on Purpose which has been entertaining readers of Computer Language Magazine for years. Topics span the gamut from how to be a software entrepreneur, the innards of floating point arithmetic, and the turbulent world of software design methodologies, including structured analysis and data-structured design, why âbottom-upâ design isn't always foolish, and why âtop-downâ design isn't always wise. MARKETS: For supplemental reading in an intermediate or advanced course on software design methods or software engineering, and for practicing programmers, software engineers, and specialists. About: A guided tour of numerous software design methods, this volume collects into book form a variety of articles from P.